Places of Fancy: Is Bangkok the New Panem? 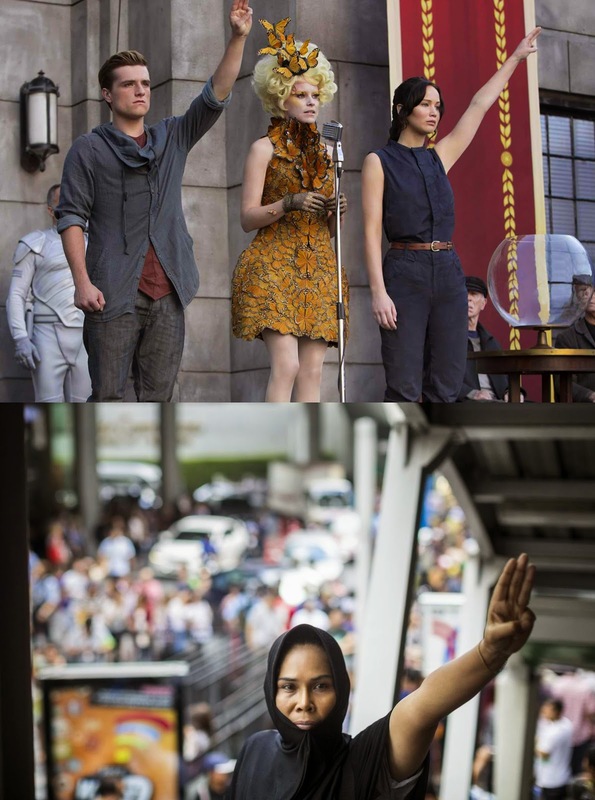 Is Bangkok the New Panem? 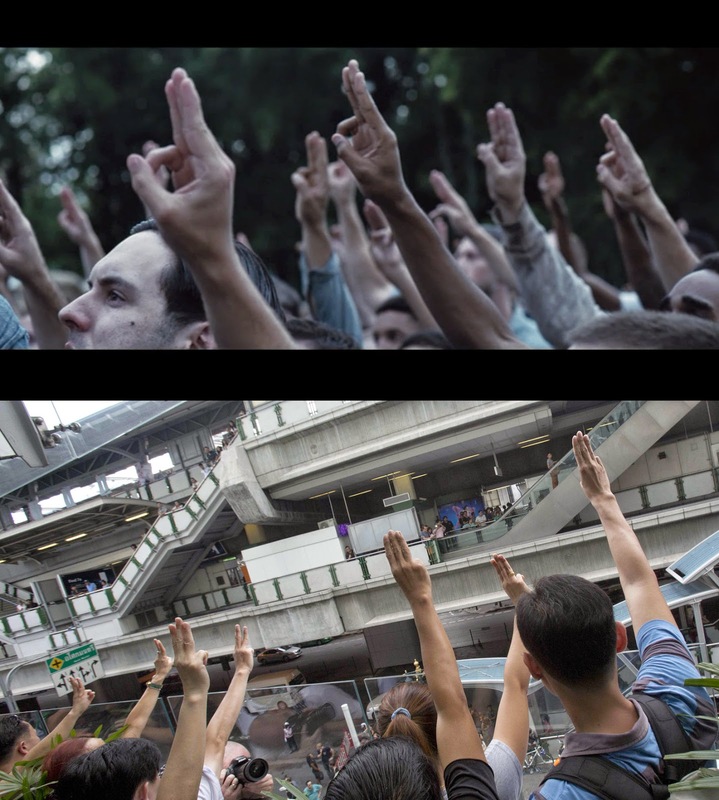 Life does imitate art, or in the case of Thailand today, The Hunger Games. Over the weekend, Thais are making defiant salutes against the military junta that has taken over the country since May 22. The salutes are reminiscent of the three-finger signs flashed by revolutionists in the popular YA novels and their movie adaptations. In response, Thailand's military leaders are threatening to scramble authorities on gatherings that make the cabal gestures. It's only a matter of time before the Thai Katniss Everdeen emerges. May the odds be in their favors. What say you, Jennifer Lawrence?